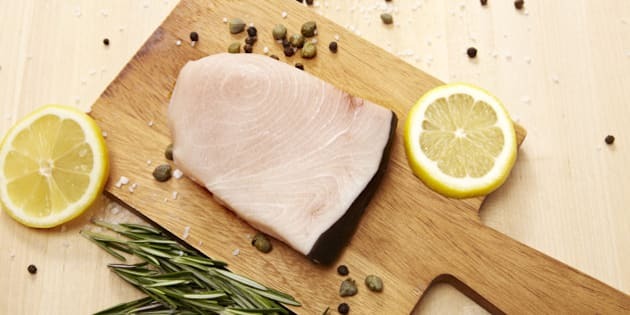 Results of a meta-analysis published in the online journal Neurology suggest that even a moderate increase in protein intake of 20g per day can reduce the risk of stroke, especially if the protein is from fish. The participants with the highest protein consumption, however, had the most significant stroke reduction: they were 20 per cent less likely to develope a stroke that those with the lowest protein consumption. The meta-analysis involved seven studies that followed a total of 254,489 patients for an average of 14 years each. Other stroke risk factors such as cholesterol and smoking were taken into account. Risk of stroke decreased by 26 per cent for every additional 20g consumed per day. Protein is able to lower blood pressure, according to results, which is presumed to be the reason for decreased risk of stroke in those with a high-protein diet. of Medicine in Nanjing, China. However, the research also suggests that the source of the protein makes a difference. Two of the studies were conducted in Japan, where red meat consumption is significantly less than in the West, meaning that the results do not apply to those getting most of their protein from red meat. "These results indicate that stroke risk may be reduced by replacing red meat with other protein sources, such as fish," Liu said. He added that animal protein, however, was more effective at decreasing risk of stroke than vegetable protein.